“Downton Abbey” fifth season premiere did very well on MPT. The show averaged 151,000 households in the Maryland and DC Designated Media Market. 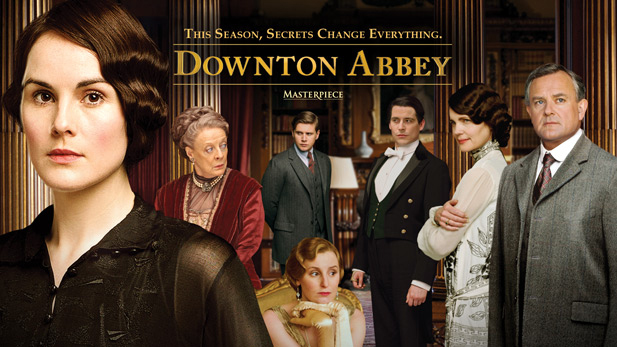 The Dowager Countess would be pleased. 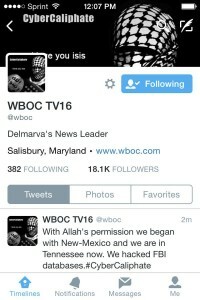 WBOC Hacked By Terror Group? Breaking: WBOC in Salisbury has been hacked by, what looks to be a terror group. However, this is NOT been confirmed. Ian Duncan from The Baltimore Sun spoke to the station manager, and they were indeed hacked. 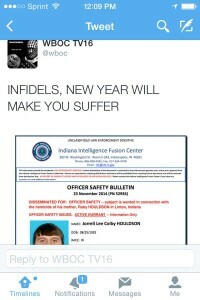 Post will be updated as needed. Those Baltimore productions are at it again! The number of Maryland vineyards and wineries continues to grow in 2014. Only 30 wineries existed 20 years ago; and today there over 60 wineries throughout the state with more planned to open in 2015. The growth in the number of wineries has resulted in a boom in wine production resulting in an increased interest in Maryland wine. Maryland has experienced an 11% increase in production over the past two years. Maryland wine is popular! Several changes to Maryland’s beverage laws can be attributed to the growth and popularity. For example, allowing wineries to ship wine purchases to homes and businesses encourages Marylanders and visitors to try wine beyond the vineyards’ property. “When you tell people about the number of wineries and the locations, their eyes light up and they become immediately interested. They want to learn more,” Ms. Leslie Frelow, owner and Managing Director of Vino 301 Wine Concierge, states. I started Vino 301 Wine Concierge because Maryland produces great wine. Vino 301 thinks it is important to support our local businesses. I wanted to share with others, in a safe environment, what I enjoy about Maryland wine. Vino 301 Wine Concierge is based in Bowie, MD. The company provides guided wine tours to many of Maryland’s vineyards and wineries. They provide transportation to and from wineries and guests are able to enjoy wine tasting and tours of the vineyard or facilities. Guests receive a collectible wine and light snack during the tour. Tour guests spend a relaxing afternoon experiencing Maryland’s wine culture. Often, the tour guests can meet the winemakers during the tours. It is an invaluable experience, to hear about the wine process from the actual winemaker. Vino 301 Wine Concierge’s first tour was in April 2013. Since that time, they have given tours to over 400 people in its first year. The wine tours going to Baltimore-Harford counties, southern Maryland, and Frederick and Carroll Counties wineries. Vino 301 wine tours are ideal for friends to get together and enjoy wine. Many people book group tours for birthdays, corporate outings, or even bachorelette parties. Over the past year we have garnered wonderful partnerships with the Maryland Wine Association, Baltimore Tourism Association and Visit Baltimore. In 2015 we hope to continue to spread our love of Wine and Tourism with many more in the Baltimore area. Additionally, Vino 301 has become the premier sponsor for The Maryland Wine Associations 2015 Wine Passport Experience held in February. Here guests will have the option to participate in one of six different guided tours (http://bit.ly/1HcwwDB). I am excited about what we have accomplished in our first two years. We look forward to offering more tours and sharing Maryland Wine’s with many more in 2015. Maria Dennis announced today that she will be coming back to Middays on MIX 106.5! 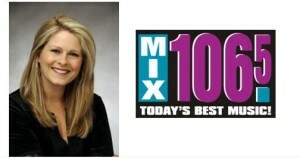 For now, she will be doing the 10am – 2pm shift on air!